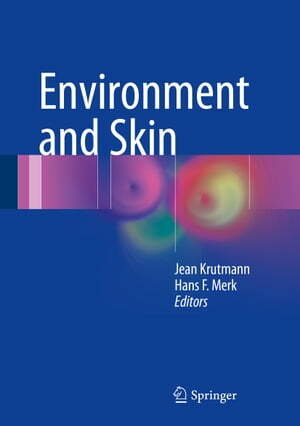 Collins Booksellers - Environment and Skin by Jean Krutmann & Hans F. Merk, 9783319431024. Buy this book online.
? ?This book is a rich source of information on skin disorders due to toxicants in the environment. State of the art knowledge is summarized concerning the molecular basis of skin damage caused by well-appreciated environmental noxae. The book also provides a uniquely comprehensive overview of the detrimental dermatological effects of exposure to air pollution and global climate change. A special focus is contact allergy, which, beyond representing a major problem in dermatotoxicology, serves as a prime example for the development of toxicological approaches to risk assessment. A further chapter is devoted to contact urticaria, a condition that can progress to life-threatening anaphylactic reactions. The novel information offered in this book will enable the reader to go beyond the traditional thinking of dermatotoxicology and achieve a modern appreciation of the highly complex interplay between skin and environment.